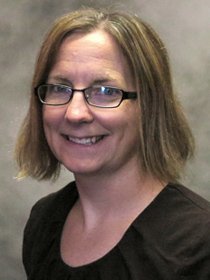 Melissa Kleinschmit is a Full Professor at Trinidad State Junior College, where she teaches a variety of undergraduate biology courses, including General College Biology, Human Anatomy & Physiology, Microbiology, Genetics, and Research. In this role, Melissa has developed curriculum to engage students, including the development of research projects as part of courses and as independent studies. Melissa’s interest in assessment has expanded into curriculum development and working with faculty to develop curriculum that motivates and engages students. Melissa is an active member of the Genomic Education Partnership, Community College Undergraduate Research Initiative, Colorado Community College State Faculty Curriculum Committee, Trinidad State Curriculum Committee, and several other committees at Trinidad State. These connections help keep her informed with educational research in the field of biology and bring that information back to the faculty at Trinidad State. Melissa has a positive impact at Trinidad State on faculty, staff and students, as evidenced by her receipt of the faculty-voted Faculty of Year Award and the student-voted Outstanding Faculty of the Year Award. Melissa holds a PhD in Molecular, Cell, Developmental Biology and Genetics from the University of Minnesota.